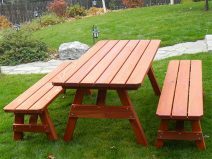 The traditional, rectangular redwood picnic tables with benches we all remember from childhood. 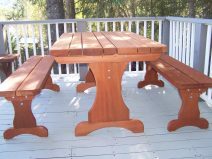 Eating outside, family gathered round, what could be better? 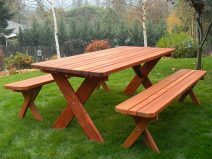 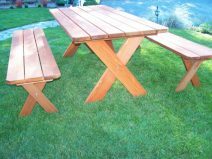 Made from long-lasting redwood with sturdy construction, these picnic tables will last for many summers to come.